If you struggle with the decision of whether to buy or whether to lease, you’re not the only person who needs a little help figuring out what’s best. What’s difficult is that you could ask 10 people what they think is the right option, and you’d get different opinions from each person. This is why it’s helpful to understand the advantages and disadvantages of both. 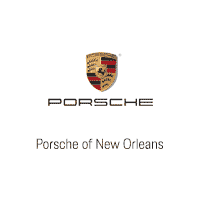 Then you can take a look at your finances, preferences, and needs and make your selection when you shop for Porsche Panamera pricing in Metairie, LA. You may first notice that a lease has some financial benefits. You know it’s a commitment to purchase and drive a Porsche in Metairie, LA, so it won’t hurt to pay a little less each month. With a lease, you pay for the amount the car will depreciate, not for its current value. This translates into lower payments, not to mention smaller taxes and registration fees at the dealership. Leasing also ensures that you’ll have a warranty to cover any repairs or defects on your vehicle. As long as you lease, you’ll have something brand-new to drive. If you know you’ll put a lot of miles on your Porsche, you probably don’t want to lease when you shop for Porsche Panamera pricing. In most cases, the dealer will set a limit of 12,000 miles per year. If you go over this, you’ll have to pay a penalty; however, some dealers will waive this fee if you decide to buy or trade the lease. Also, as long as you lease, you’ll always have a monthly payment to make. Some customers in Metairie, LA, prefer to use auto loans because buying allows you to customize and modify your vehicle of choice. After you purchase a Porsche, you can feel free to add special features on the inside or outside. You may do this to reflect your personality or attitude. You don’t have the option to do this with a lease. Not only will you pay more per month on Porsche Panamera pricing when you get an auto loan, but your warranty will eventually expire. If you keep your Porsche for the long term, it will start to show signs of wear and tear, and you’ll have to spend your own money to make necessary repairs. Porsche Panamera pricing is available for leases or loans at Ray Brandt Porsche. Stop in today and drive home to Metairie, LA, in your next vehicle.